The antique beer signs in the window and stuffed deer heads hanging from the walls would be at home in many American bars. But at tiny T's Lounge on the lower end of North Monroe, they're artifacts of the room's former life. "I've been in this spot going on four years now," says owner Roger Villareal. "I had a place called T's Recyclery. It was my secondhand thrift store. The neighborhood, I knew it was going to blow up. Everybody watches the American Pickers show, so I figured I'd be able to make a little bit of money, but to survive was tough. Plus, I didn't like to sell any of my stuff!" Villareal converted his store into T's Lounge through a lot of remodeling work last summer, and the bar opened in September. He's basically trading in one business plan — secondhand store — with plenty of Monroe Street competition for another, but most of Monroe's well-established drinking spots are farther up the hill. He remains enthusiastic about his section of Monroe, even after the one-two punch of downtown road construction and a harsh winter made for some slow months after T's first opened. "Kendall Yards is coming up this way," Villareal says. "And they remodeled a bank a half-block away into really nice apartments people are living in. Bruncheonette opened, which brings people to the neighborhood, and the grocery store [My Fresh Basket, slated to open this year] is going to bring more people. Last year, we did really well when people were walking around and could see us." The T's Lounge space at 703 N. Monroe is still evolving, Villareal says, and probably always will be. It has a full club license, so cocktails and and a rotating cast of beers dominate the offerings. There's a small game room in back where one can play darts or pinball, and he's hoping to add a patio out back to take in the sunsets this summer. 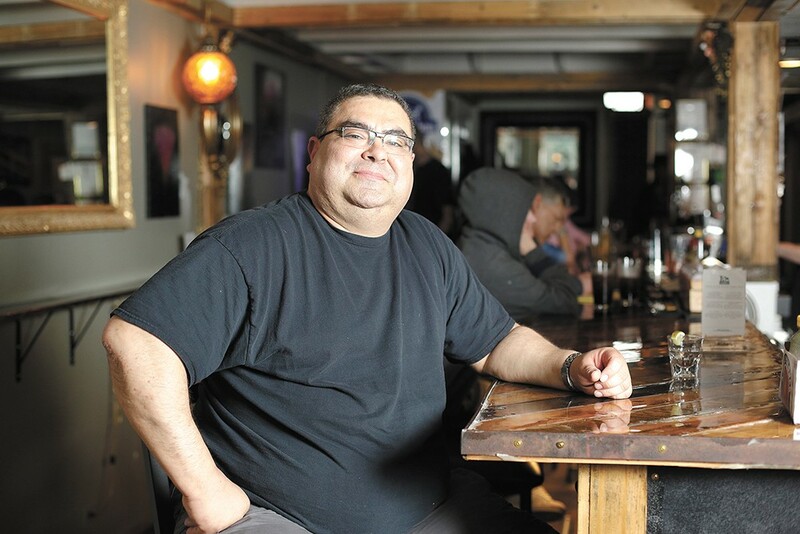 Most of the T's regulars are folks who live or work in the neighborhood, or old friends of Villareal's from when he tended bar years ago at Mootsy's and Ichabod's North. "I've been in the hospitality industry all my life," he notes, taking a pause to sip a couple of beer samples from a local brewery's sales rep. "It's kind of turned into a neighborhood bar. Neighbors and friends." With any luck, T's could become an entertainment anchor for a section of Monroe that has lacked for bars, save Charley's Grill & Spirits and Ruins. They showcase art on First Fridays, and occasionally book DJs; Villareal would like to add some low-key acoustic music to the mix. On a recent Sunday night, a bunch of Elton John concertgoers discovered T's Lounge as one of the few bars open within walking distance to the Arena, and Villareal is starting late-night happy hours for the staffers at nearby restaurants. 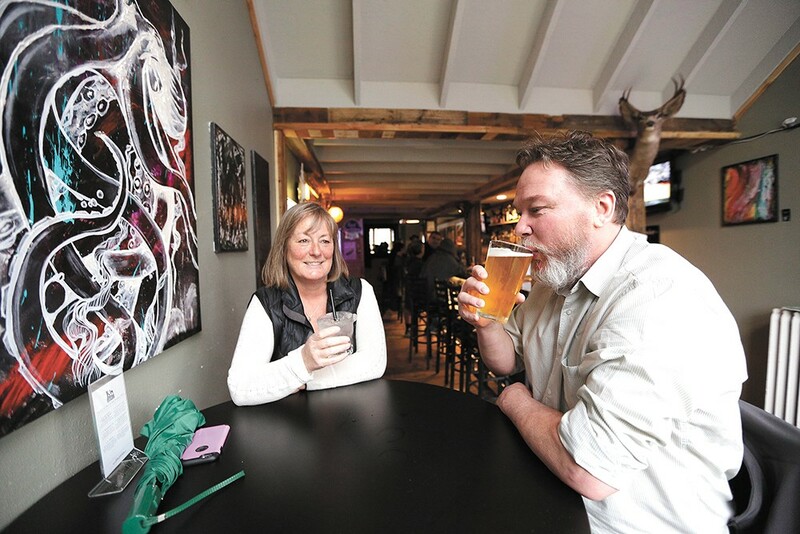 Monroe Street, particularly its north end, has seen more than its fair share of pub crawls through the years, thanks to the presence of some of Spokane's best, oldest and cheapest bars. The Moezy Inn Tavern (2723 N. Monroe) is a must-stop, as is the Hi-Neighbor Tavern (2201 N. Monroe) and PJ's Pub (1717 N. Monroe); all of them offer some friendly folks and good deals on beer, with the occasional karaoke night mixed in to entertain the pull-tab players and regulars. The Hub Tavern (2926 N. Monroe) is within walking distance of those spots; it's another neighborhood joint, albeit one with a distinct hockey-fan vibe.